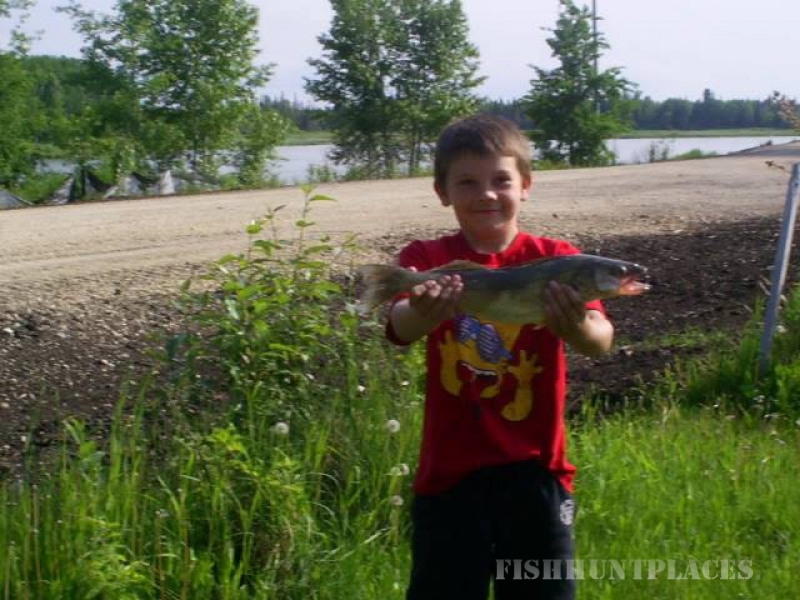 Dauphin River is one of Manitoba's Walleye "hot spots", from the end of May to the beginning of August. You can rent a boat and troll up and down the river or fish from the shore. 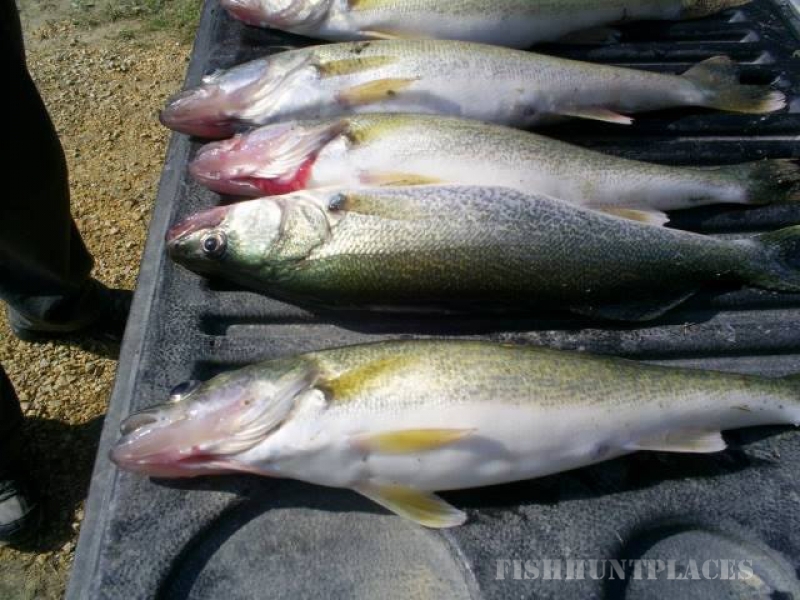 You can hire a guide and get in on some great lake fishing. 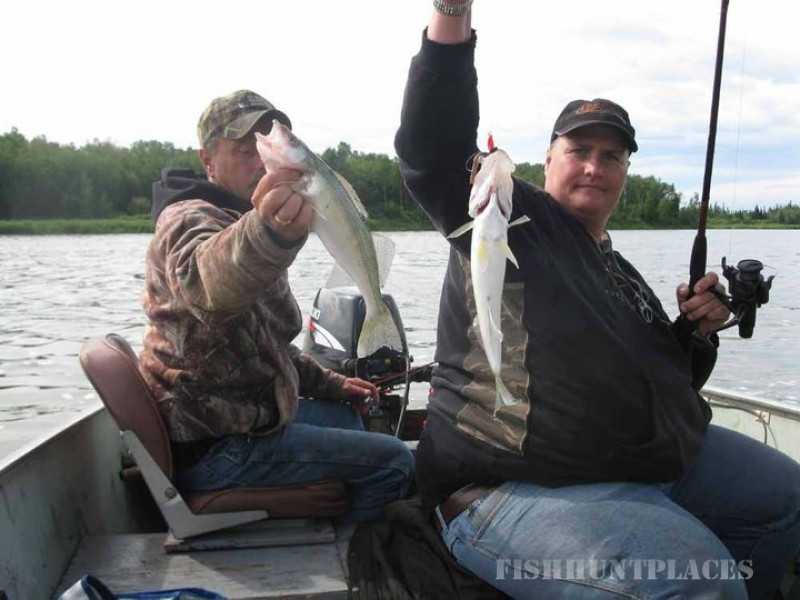 Take a run over to the Mantague River, which is another great Walleye spot and only twelve miles across the bay, or head up the shore for a day of catching huge Northerns on the Warpath River. 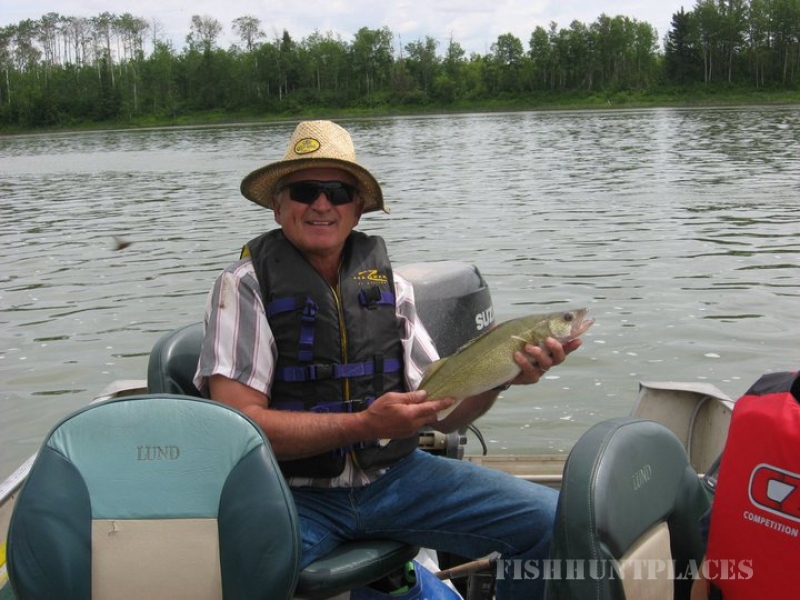 While Walleye are the main catch in the area there are a lot of Northern Pike, Sauger, Perch, a few fresh water Drum, Sunfish, or even Whitefish. The whole area is beautiful, nature at its best, with miles of sand beaches around the bay, interesting rock formations at Clarks Point and small islands that are the natural nesting grounds for many birds. You can stop for shore lunch, take a stroll or even go for a swim. In the winter, ice fishing is becoming more popular. Once the ice is strong enough its a race to see who gets the spot where the fish "are really biting great". Then come back to a toasty warm fire in a log cabin, cook up some fresh fish and relax. 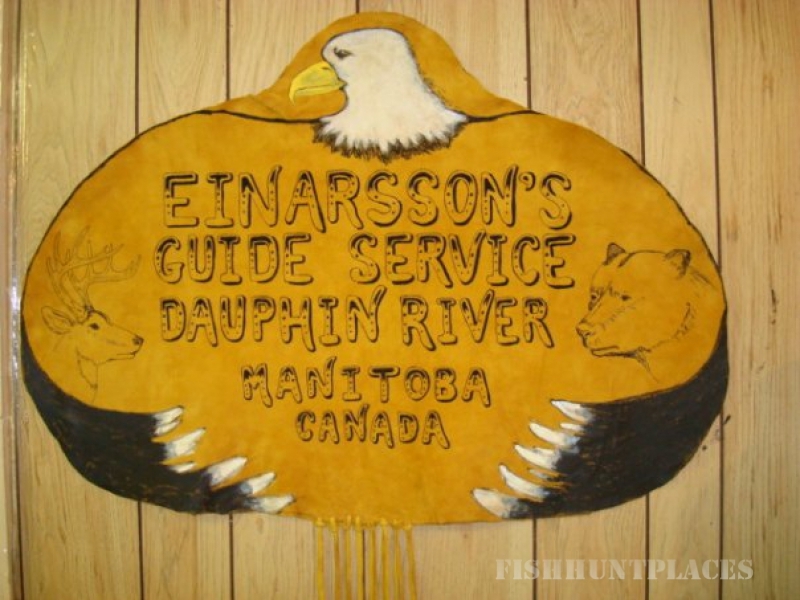 Whether you are an avid fishermen or just want to have a quiet weekend with family or friends, Einarsson's Guide Service will be glad to accomodate you. Accomodations : 2 bedroom log cabins with fully equipped kitchenette, bath, and a cozy living area. Transportation: To and from the hunting area. 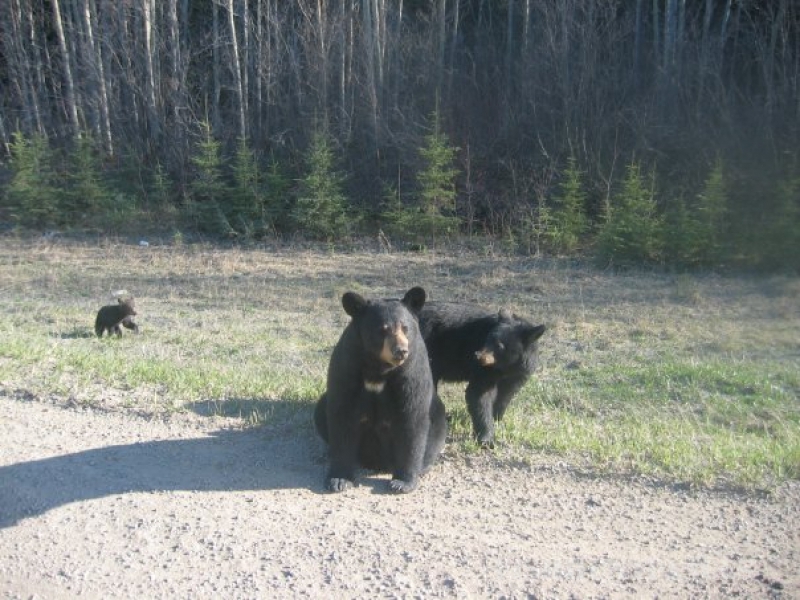 If you are flying in to Manitoba, we will pick you up at the Winnipeg Airport and also return you there after the hunting trip. Dressing Out: Skinning of the animal after successful hunt is important and experienced Guides will assist you. Baited Sites: checked and replenished daily.